In January 2018, we became a tech startup. Before that we’d simply been a business, but that was SO 2017. And we definitely *embraced* the culture (hey, if you’re in, you’re in, right?!). We relocated to a startup hub, we learned a whole new language around hustle, pitching & angel investors, and we decided we were going to get seed funding. This was all very awesome. And let’s be honest — we had a LOT of fun. Six short months later it all unravelled spectacularly. It’s now 12 months on — and it’s time to break the silence (it’s a LONG time since the last blog post!). We’re still here — in fact we’re doing better than ever. But I’m not sure we’d do it exactly the same if we did it again — and this little post contains some of the reasons why — hope it helps!! This was a major contributor to the sales amnesia above. Basically, once you head down the investment route — it can easily become a full-time occupation. Which means that unless you have someone else to actually run your business — that’s not going to fly! Those were Henry @ Fishburner’s exact words, and still his most memorable advice… Unfortunately it was advice we received WAY too late. Specifically, on the day we realised the investment we’d been pursuing wasn’t going to work out and we had no Plan B. Of course it’s now an idea that has a groundswell of popularity. And there’s a huge debate out there on it’s merits vs ‘traditional’ startup funding — a debate which, to be honest, I don’t feel qualified to enter. Which of course can be both good and bad. Surrounding yourself with like-minded organisations doing the same thing as you is a great source of community and inspiration. It also sparks creativity through collaboration and watching the more successful members of the community succeed can be a real incentive to work harder and up your game! ON the other hand — because EVERYONE around you is doing the same thing, ‘being a startup’ can somehow become an end in itself. Also — because all your peers are seemingly spending all their time working on their ideas, taking insane risks with their livelihoods in order to turn their dreams into reality — this somehow becomes ‘normal’ i.e all the checks and balances of actually normal business practice disappear. ‘Seemingly’ was an important word there — another thing we found out WAY too late was that the really smart startups weren’t taking anywhere near as much risk as it appeared they were. The REALLY smart startups (think Staybil) had secured (often very creatively) finance for each stage of their journey BEFORE they commenced that stage. And if things hadn’t worked out, they had planned EXIT POINTS. Us — we just went for it. No exit points, no pre-secured finance, just hope and a heroic sense of risking all. being a startup is a phase — you’re meant to graduate from it and become a real company. This is the essence of where we had gone wrong. We had SO identified with being a cool tech startup that we’d forgotten the journey we had set out on — to build a company that made a difference. Of course I could equally have written a blog on all the GREAT lessons we learned from going into crazy startup mode. And the truth is, we ARE still here, we ARE doing better than ever, and who knows what part going crazy startup played in that. But it was a roller coaster of a ride — I actually ended up physically unwell. And it doesn’t just impact you, it impacts the people around you — most of whom are innocent bystanders. None of which is worth the buzz. DON’T FORGET TO SELL STUFF!! Segmentation is difficult, time consuming and is no-one’s favourite job. Yep, we said it. And if you’re reading this, you probably already know it’s true. You also probably already know how important well-segmented data is and the work that is involved in producing it. AND you know producing a tiered segmentation by running a separate query for each segment, then using VLOOKUPS and other dark arts to merge and de-duplicate them is not fun and can take HALF A DAY OR MORE. It also requires a not insignificant skill level. And inevitably, with all this complex manual processing going on, subtle differences are introduced each time a mailing is produced meaning SOMEBODY gets the wrong letter. IN OTHER WORDS it represents a significant amount of time, effort and skill and doesn’t always produce the result you were hoping for!! We’d like to introduce you to Red Arc Segmenter. Red Arc Segmenter is an ultra-simple tool that is able to produce tiered segmentations in a single operation. It reduces the whole process from half a day to less than half an hour! It also makes it INCREDIBLY STRAIGHTFORWARD. Making it a tool all your staff can use. And by automating all the hard work of manually preparing data – you’ll not only save time and money but INCREASE repeatability and accuracy. Red Arc Segmenter connects directly with your donor database to automatically synchronise your most current data without you having to do anything. Then we set up your unique segmentation template – which combined with your latest data mean accurate, repeatable segmentations are available to you at any time. Which means you can cut processing time from half a day to half an hour. (Did we mention that before?!) Oh, and that half an hour – that’s mostly your people deciding which of your people should get that amazing mailout – we process your decision in seconds. If Red Arc Segmenter sounds like something that could revolutionise YOUR data preparation. Please get in touch and we can discuss how it could fit into your organisation. Because YOU want to save time and automate all that tedious stuff – and WE love to help people do exactly that. So you’ve decided to get that deck built – and Monday morning, bright and early, you have a tradie at your door. Except when you let him in, you notice all he’s brought with him is a single hammer. Hang on! you think. Where’s all his tools, where’s all the things he’s going to need to get the job done, where’s his UTE for goodness sake??!! Because turning up with only one tool to do a complex job isn’t going to work, right? AND YET when we choose software to make our organisations run smoothly we so often look for the ‘one tool’ that will solve all our problems.. In today’s software universe we have the luxury of choosing multiple tools, each of which does one thing awesomely (like a software drop saw!) and with INTEGRATION we can make all these awesome tools work together as a single solution. It’s a thing of beauty. Below are some of the tools WE use, and why – and yes, we’re trying to inspire you..
Asana kindof keeps our business running. It handles all the detail in all of the tasks we keep track of day to day. We even run our sprints and support desk in it. What we really love is it’s simplicity, which makes it fast in operation and flexible enough to be applied to a huge range of scenarios. But for all Asana’s mastery of the detail – sometimes we have trouble seeing the wood for the trees! For this we use Trello. We have a board set up that give us a bird’s eye view of the projects we are working on. We also use it to store ideas, features and, well, random stuff. It’s all a bit unstructured and free-form – but that’s what we need – and Trello is VERY good at that! If you’ve not come across this, you’ll love it! Perfect for big-picture project planning at a week level. We use it to visually plan future capacity and project timelines. Check it out! Bit hesitant to let you know about this one (everyone needs some secrets!). Qwilr allows us to create super-slick looking proposals, super-fast. It even handles the approval process. But hey, it’s rubbish, don’t use it..
Yep, we’re an integration company and we use Zapier! Actually, we LOVE Zapier – we use it to quickly connect things together and build one-off ‘applications’ for specific tasks from a few basic tools. You need to use Zapier. Trust us.. Almost forgot this one – because it’s ALWAYS there! Toggl makes tracking time a reality – transparent enough to actually use – yet with enough reporting to make it useful. Without toggl, no-one would get billed, and I wouldn’t be writing this! We remote work. We couldn’t without #slack. It’s that simple. So there you go – that’s what our Ute full of tools looks like – actually that’s only the more interesting ones – cos no-one’s really that interested in what brand of nails hold your deck together! We reckon there’s tools out there that would make YOUR life easier. And when you’ve found them – CONNECT them together! That’s when it REALLY starts working for you. And if you need help doing that – please get in contact – we LOVE connecting tools and helping organisations get their efficiency on! Everyone knows that great systems make your life easier – and everyone knows that COFFEE makes the world go round (at least before 11am!). Which means the system we’re about to describe HAS to be the greatest system ever designed – because it speeds the delivery of that double-shot ¾ full flat white that fuels your inspiration and all-round business prowess on a daily basis!! So this system doesn’t involve ipads, or touch-screens, or databases, or API integration. Actually, it doesn’t involve electricity at all. In fact, it is so deceptively simple, that you’ve probably never even thought of it as a system. But in actual fact its simple elegance contains systems genius – and has been accurately delivering the correct coffee to customers for years! The customer brief, the manufacturing instructions, and the final product are all intrinsically linked (they’re on the lid!) , ensuring accurate, accountable delivery of the customer’s requirements every time.. I bet you’ve never thought about the fact that row of coffee lids bears an uncanny resemblance to a Kanban Board. But look again, and we reckon you’ll never see it in the same light again!! An important client comes to you with an unforeseen urgent deadline (the boss just called!) – no problem – simply put the lid at the front of the queue! You can SEE how many back orders you have, what current demand is, whether you have sufficient capacity and raw materials. It doesn’t get much simpler than that..
Barring a strong gust of wind, there’s really nothing that can go wrong. No system crashes, no internet reliance, even a power outage wouldn’t cause any lost data!! I think we’ve made our case – but why are we telling you all this??! Well, partly so you can marvel at how clever baristas are. But mainly because we can all be tempted to throw technology or features at a problem in order to find a solution. But the truth is (and bear in mind we are in the business of developing technology! ), Simple is usually best. And ultra-simplicity like the coffee-lid system (that consistently, efficiently and with incredibly low-friction produces exactly what you set it up to do) is where the real systems genius lies. 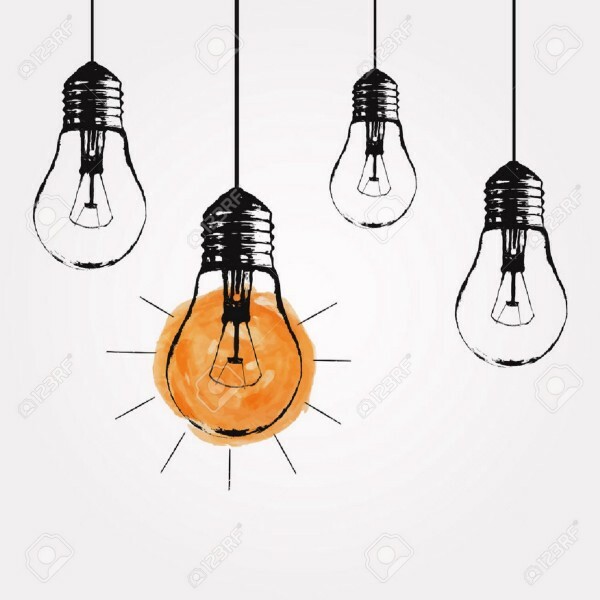 We reckon that’s thought of the day..
Everyone needs a Connected Solution.. So.. you have this brilliant idea for how you can save your organisation time and money by getting software to automate something people are currently doing manually. You’ve pinned down all the things this new system needs to do, and you’re excited to get going and start gaining the benefits of letting your software do the work. And now you need to figure out how to actually make it happen..
Find a single application that already does everything you identified in your requirements. If you’ve found it, you’re winning! Develop a new, custom system from scratch to do the work. Build a Connected Solution. Find apps that each do an individual part of your process brilliantly, and use integration to connect these together into a seamless solution. Below is the solution Red Arc developed for Mondial Fundraising to automate their recruitment and onboarding processes, which as they had grown, and the process was still largely manual, was beginning to take up a significant amount of time for their HR team. Now when we say develop, what we actually did was source several apps that already offered great functionality for part of the process. Why reinvent the wheel? Xero (www.xero.com). Xero, as we’re sure you’re already aware will change your life. Specifically, we used Xero payroll here, which Mondial were already using. Webmerge (www.webmerge.me) . Mondial wanted to automate sending personalised contracts to each new employee. Webmerge was a great little app that did exactly that, really well. And all controlled through the API..
Mandrill (www.mandrill.com). We use Mandrill (from Mailchimp) a LOT. We needed to communicate with the new candidates and send them some relatively complex emails. All set up in stylish mobile optimised templates to make Mondial look great, first impressions and all that.. Mandrill does all that and with remarkably little effort. With all those apps in place doing the real work, all we needed to do was tie it all together so Mondial users had a single interface to use, making it feel like a single system for them. Once all details are collected. Mondial staff send the complete set of employee documents to the new employee via the same web form. Mondial got a solution that met all their requirements, with each part of the process being done excellently (due to a dedicated app) with a great user experience. Development time was low as only integration elements needed to be created. And the original objective (saving a LOT of time spent by HR staff) was over achieved. WE got to have a lot of fun doing what we love to do – connect things together and create a solution that exceeds the sum of it’s parts!!! And you? If all this has inspired YOU to join the Connectivity Revolution, build your very own Connected Solution, and start saving time & money too. Get in touch!! We’d love to chat with you! Ever feel like everyone’s talking about integration these days? But how do you know if integration would make a difference in your organisation?? Always happy to help, we’ve put together 5 tell-tale signs that could indicate you’re doing work that you don’t need to do, and missing out on the effectiveness connecting your systems can bring. Take a look – can you see yourself in any of them? Is the same thing being typed in two separate places all the time? Ok, we thought we’d start with the obvious. If this is you, please call us, call somebody! – you don’t need to be suffer this pain..
Do you regularly export something from one of your systems, only to import it again into another on a regular basis? Bit more subtle this one, but probably still eating up someone’s time unnecessarily. Let me put it this way: imagine if you DIDN’T have to download that file from your Ecommerce site then upload it again into your accounts system, every day. Those systems are both yours, imagine if they could just talk to each other and all you had to do do was be impressed with the results?? You’re getting really good with Excel..
Um, what was your job title again?? Kudos to you for your awesome tech skills, but integration could mean that file you receive (you know, the one that’s almost in the right format, at least it is an hour later after those vLookups and applying that cunning formula you devised) is created automatically. Or better still, the information just appears in the application you need it in! Which would mean that all that creativity and problem solving you put into creating those mega-spreadsheets could be put to use on what you’re really good at – your job. You know it makes sense..
You’re sure that information is somewhere..
Getting serious for a moment – if you’ve given up on all the re-typing/excel-file-handling described above – you may well have also ended up with your information silo’ed into less than helpful pockets across your organisation. Meaning reporting and/or access to information is time-consuming or completely impractical. Meaning you don’t do it.. If only I had time to..
Here’s something we’ve noticed – introducing integration and automation doesn’t usually mean fewer people working at your organisation. What actually normally happens is that the existing people have MORE time that can be spent on creative, meaningful activities, because they have to spend LESS time doing repetitive, frustrating stuff. Does any of this sound like your organisation? – if so it’s time to look at joining the connectivity revolution!